This is a guest post by Erin Hancock of the Co-operative Management Education program at St. Mary’s University in Halifax, Nova Scotia. 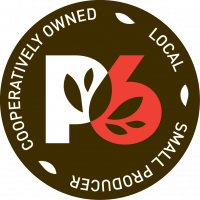 If you’re familiar with the principles of cooperative organizations, you may know that Principle Six is “Cooperation Among Cooperatives” which emphasizes the value of supporting, liaising with and lifting up other cooperatives. With the notion of mutual self-help in mind, this principle is a way of transforming the wider economy to create more thriving community-owned, democratically-controlled institutions that provide needed goods and services while respecting the planet and honoring people. If you are seeking graduate level education that combines business, community development and global economy, check out these online or in-person options offered by the Co-operative Management Education department at St. Mary’s University. The Sobey School of Business at Saint Mary’s University (Eastern Canada) offers international management programs designed to provide the skills needed for exceptional cooperative management. Saint Mary’s University is known worldwide for top-quality business education, having been established in 1802 and the Sobey School of Business is accredited by the Association to Advance Collegiate Schools of Business (AACSB), the highest standard of business education worldwide, Principles for Responsible Management Education (PRME) and the European Foundation for Management Development. Designed for people currently in a leadership position or for those wanting to build a career in a cooperative organizations (from housing coops to worker coops), mutual or credit union, the programs are offered online and part-time. Students, faculty and researchers are drawn from around the globe, and from a diverse range of cooperatives, enriching the learning community with their experience. The Academic Director of the programs, Dr. Sonja Novkovic, also leads research in cooperatives through her role as the Chair for the International Cooperative Alliance’s Committee on Cooperative Research. Students embark on a 10-day study tour to Mondragón, Spain or Emilia-Romagna, Italy. A limited number of non-student study tour spots are also available.